Study Market ResearchFor Product Development! 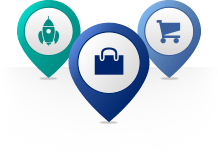 Use QuestionPro If You Study Market Research For Finding Which Products. Join For Free! 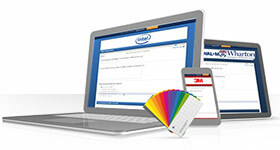 When you go with QuestionPro, you can easily create a survey on your tablet or smartphone. 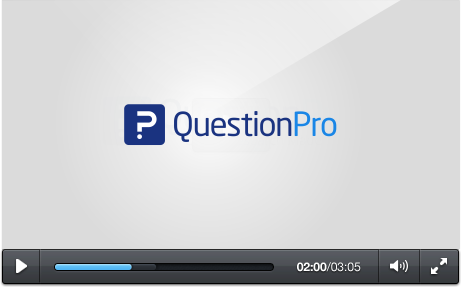 QuestionPro is fully optimized for mobile devices. 1. Survey Template: You can the browse the survey template library that has over 100 ready made surveys that you can edit and customize. 2. Importing: If you already have a questionnaire that you've created or just a small list of questions, you can easily upload them into QuestionPro. 3. A Blank Survey: If you just need to start with an empty survey, you have over 30 various question types that you can use to create your survey as well as customization options. When you're conducting market research, you can use surveys to gain a great idea about how your future products or services will perform on the market, in addition to identifying any defects with them. You can use customer service surveys to discover how your business is doing and whether or not you need to make any changes. For example, if you're the owner of a restaurant and you wish to add a new food item, you could survey your customers to see what they think before adding it to the menu. If you work in human resources, you can use surveys to gain the opinions and perceptions of the employees working for your company, as well as evaluating their performance. Academic surveys are for teachers and school administration to gauge the effectiveness of certain classes, programs and events outside of school. This can help to identify issues or gaps that may not be easily seen. Step 3: Select which method of survey creation you need to begin with. You have three options with QuestionPro, that include importing a questionnaire you already have, starting from a blank survey or choosing a template from the template library. You can personalize the survey any way you see fit, by selecting from pre-made themes or changing your questionnaire's CSS. There is a great number of options available for you to create and distribute the exact kind of survey you need. QuestionPro definitely stands out from among its competitors. If you're looking at a particular survey creator, be sure to ask yourself the following questions. How easy is it to create a questionnaire? Do they have a giant template library for you to browse through to create and edit surveys from? How about if you have a survey or questionnaire that you've already created and would like to import that directly into the editor? Do they give you the option of doing that? How about if you're just looking to create a survey from a blank template? What kind of options do you have? Is there a question bank of over 30 various question types to choose from? How about changing the look and feel of your survey? Can you browse through themes already made, or perhaps modify the CSS of the template? With QuestionPro, you can do all do everything mentioned plus more! When you're finished creating your questionnaire and you're ready to send it out, what sort of options do you have for distribution? Are you able to email your survey by uploading a list of email addresses into the interface? How about if you want your survey embedded into your website? Are you given custom code for that? 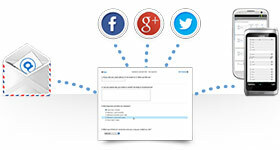 What if you need your questionnaire posted to Facebook or Twitter? Or maybe you'd like a QR code generated? What if you don't have any respondents and would like to purchase a sample of participants? QuestionPro offers you all of these features above and a lot more. When you start to see responses come in, what can you do with the data? Can you create infographics and word clouds based on the information? What if you need to create data filters and pivot tables? Or perform trend of TURF analysis with your results? Are you able to quickly do that from within the editor? How about if you need to download your raw data to a file? Or maybe you'd like to back it up to the cloud like Dropbox or Google Docs? You can do all of these things with QuestionPro and more! As soon as you create an account with QuestionPro, you can log in and start creating surveys. You have the options of making and distributing an unlimited number of surveys. To begin creating your first survey, you can choose from one of three methods. You can browse the QuestionPro template library and choose a premade that you can edit and customize. 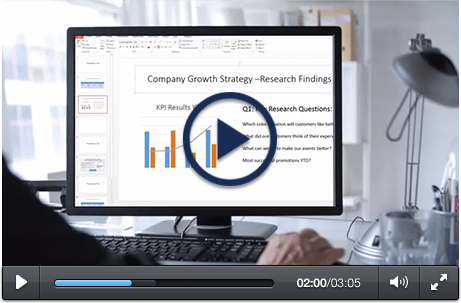 If you have a survey that you've already created, you can easily import that into QuestionPro using Microsoft Word. Lastly, you can always just start from a blank template, choosing various question types and custom colors and fonts as you go. When you're ready to send your questionnaire to your respondents, you have quite a few options available. If you don't have any respondents, you can purchase a sample of people with specific demographics, right from within QuestionPro. You are also provided with custom HTML code that allows you to easily embed your survey into your website or blog. 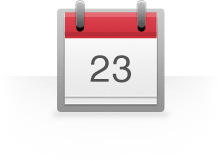 If you have a list of email addresses, you can easily upload an entire list right into QuestionPro. If you know you'll be at a seminar with limited internet access, you can download the QuestionPro app beforehand to assist you. As your results start coming in, you can see in real-time the number of people that have viewed your survey, the number that completed it and the average time it took them to finish. 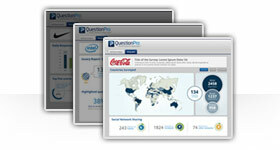 QuestionPro provides you with professional data visualization tools, such as infographics and word clouds. You can filter your data, create pivot tables and even perform trend and TURF analysis. You can back up your results to Dropbox or Google Docs, you export a raw data file for safe keeping or advanced analysis in Excel of SPSS.